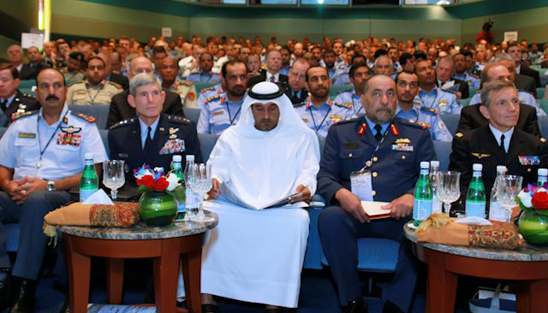 For its sheer size and prestige, the Dubai International Air Chiefs Conference (DIAC) has become the most anticipated gatherings of air force leaders from around the world in the Middle East. 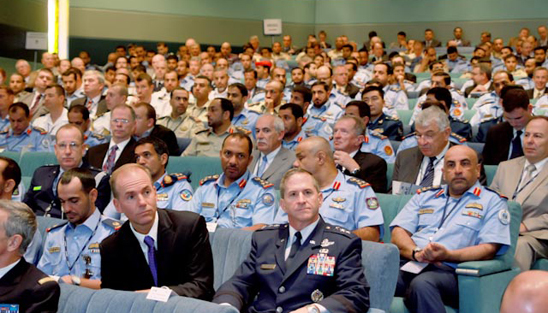 Few other events around the world could claim to have the honor of gathering so many air force leaders from the world’s most advanced military nations. 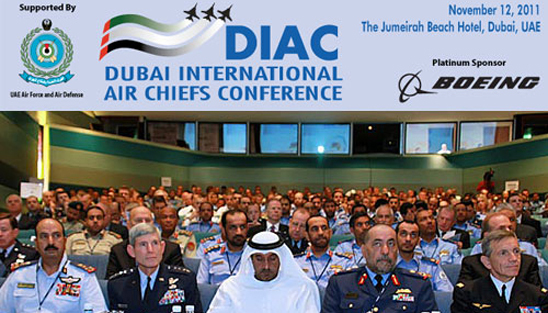 DIAC was attended by over 28 air force chiefs to a full capacity crowd of four hundred delegates. 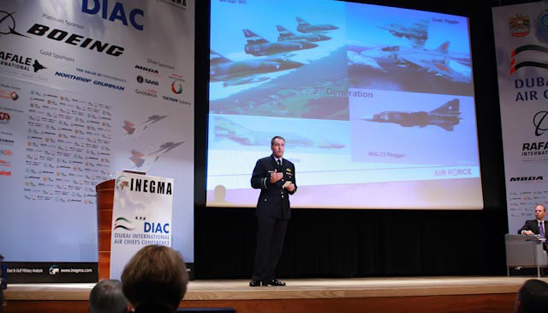 Perhaps for these reasons, air force leaders have repeatedly chosen DIAC as their platform to share unprecedented strategic and operational insights into how the newest technologies are impacting air forces. 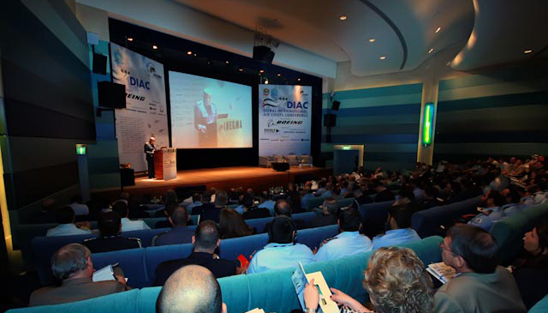 The nature of discussions and participation at DIAC make it an event simply not to be missed for anyone belonging to the defense and aerospace community. 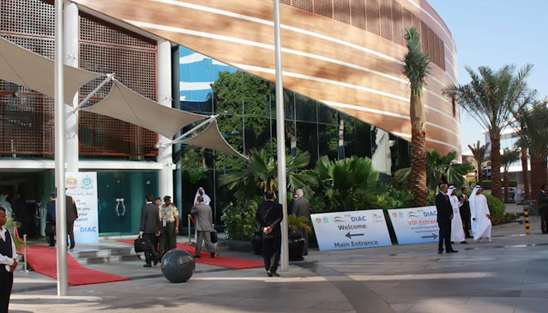 DIAC is the perfect start to the Dubai Air Show. 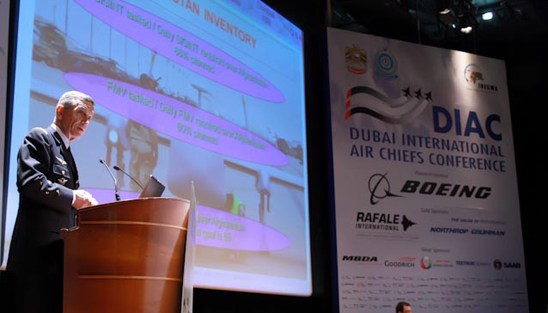 09:35-10:00 "Tailoring Air Power Capabilities for Joint Combat Operations in Asymmetric Environments"
10:00-10:25 "Developing AF & AD Warriors: Posturing for Tomorrow's Challenges Today"
10:25-10:50 "Preparing for Network Centric Forces"
11:20 -11:45 "Defining a Fifth Generation Fighter: Capabilities and Missions Requirements"
11:45-12:10 "Employment of Air Power in Irregular Warfare"
12:10-12:35 "Defining Operational Requirements for Integrated airborne EW (Early Warning) and BM (Battle Management) Capability – The Multi-mission Solution"
13:05-13:30 "Multi-Tasking of UAVs: Actual Needs and Limits of Development"
13:30-13:55 "Developing Airlift Capabilities for SAR and Humanitarian Missions"
13:55-14:20 "Next Generation Stand-Off Weapons in Air Power"
Under the patronage of His Highness Sheikh Mohammed bin Rashid Al Maktoum, Vice President and Prime Minister of the UAE, and Ruler of Dubai, and with special support of the UAE Air Force and Air Defense, the Institute for Near East and Gulf Military Analysis, INEGMA held the Dubai International Air Chiefs Conference (DIAC) at the Jumeirah Beach Hotel Conference Hall in Dubai, UAE on the 12th of November 2011. 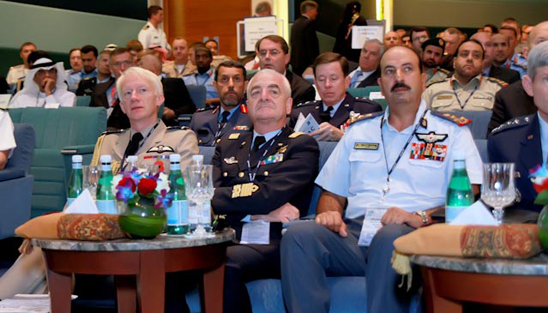 DIAC was attended by a crowd of political and military leaders, diplomats, and industry representatives, from the UAE, the Gulf and abroad. Among them: the UAE, KSA, Kuwait, Oman, Qatar, Bahrain, Jordan, Pakistan, Italy, Turkey, Australia, The Netherlands, Switzerlandm Canada, Germany, China, Sweden, France, United States, UK, New Zealand, Lebanon, Iraq, and Russia. 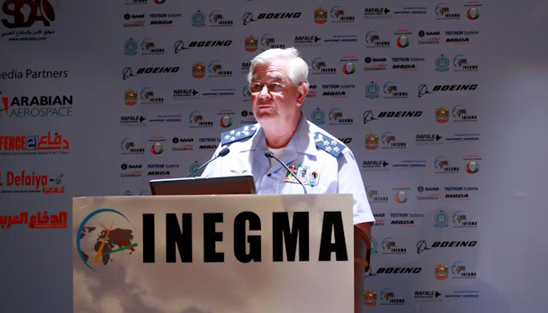 INEGMA organized DIAC for the fifth consecutive time, as the official conference of the biennial Dubai Airshow. 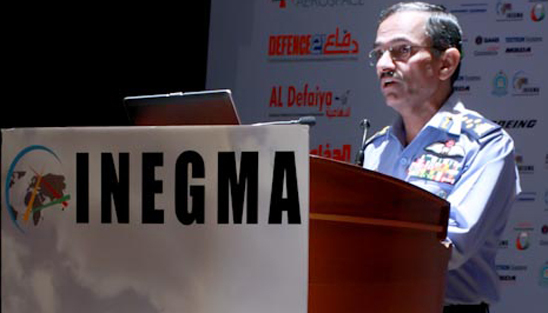 Riad Kahwaji, CEO of INEGMA welcomed the conference delegates and guests and spoke about the importance of the conference in today’s strategic and operational environment. 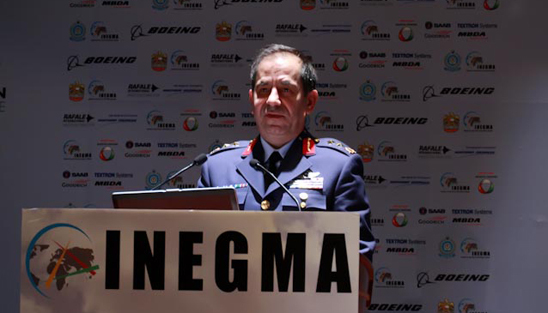 He emphasized the special role that air power and air operations play in a changing strategic in balance in the region. 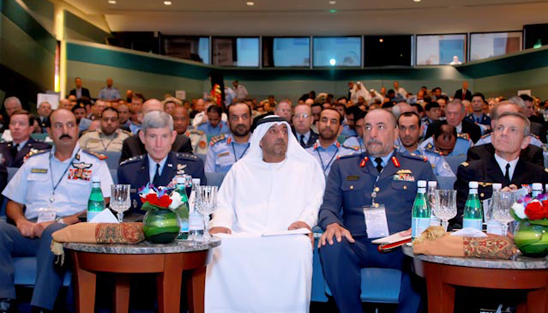 Major General Mohammed Bin Swaidan Saeed Al Gamzi, Commander of the UAE Air Force and Air Defense, welcomed the speakers and guests. 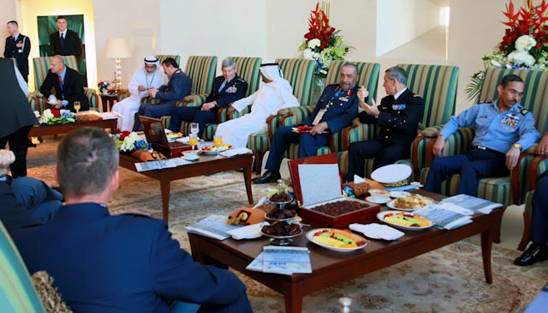 He stated that there are many challenges that the UAE and allies face in the region and that homeland security and defense of the country are paramount in a changing threat environment. 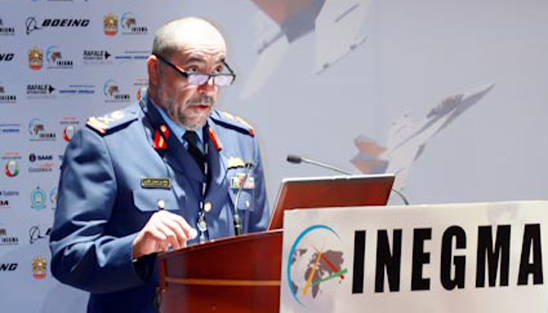 Interoperability is a key issue as his the additional use of advanced technologies in air power operations. Following the speech INEGMA and the main sponsor delivered gifts to the keynote speaker. Session One, chaired by INEGMA President General (Ret.) 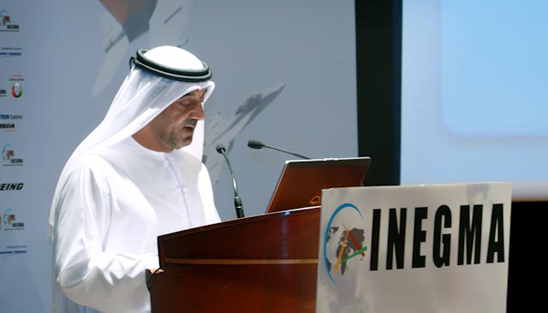 Khaled Abdullah Al Bu Ainnain, featured three speakers. 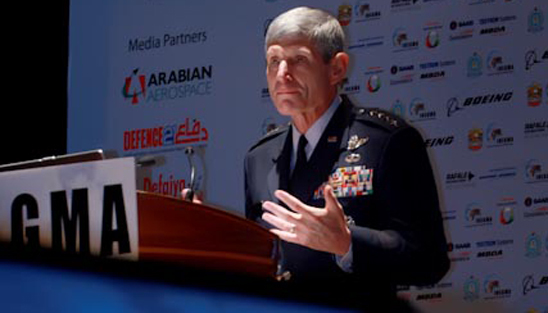 Chief of Staff of the U.S. Air Force General Norton A. Schwartz talked about "Tailoring Air Power Capabilities for Joint Combat Operations in Asymmetric Environments". 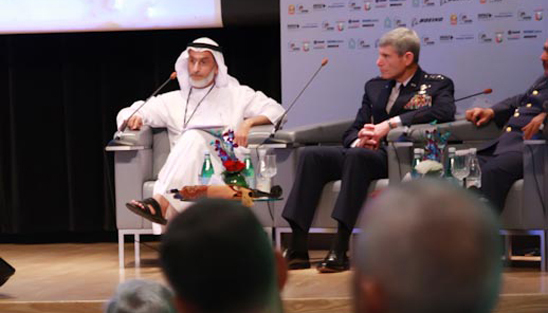 He was followed by Major General Ibrahim Nasser Al Alawi, Deputy Commander of the UAE Air Force and Air Defense who discussed the ways to posture for tomorrow’s challenges today by developing AF & AD warriors. 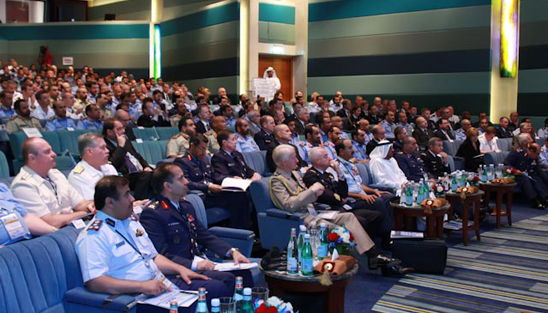 The third speaker at the first plenary session was the Chief of Air Staff at the Royal Air Force of the United Kingdom, Air Chief Marshal Sir Stephen Dalton who discussed how to prepare for Network Centric Forces. Session Two, was chaired by Dennis Muilenburg, the Executive Vice President of the Boeing Company, President and CEO of Boeing Defense, Space and Security. 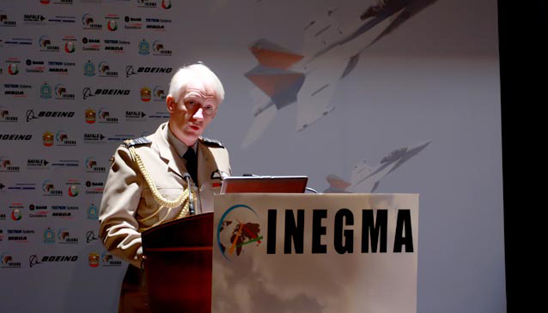 Air Marshal Geoffrey Charles “Geoff” Brown, the Chief of Air Force at the Royal Australian Air Force defined the capabilities and missions requirements of a Fifth Generation Fighter. 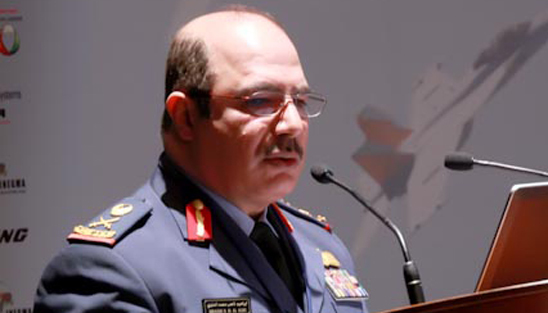 While Air Chief Marshal Rao Qamar Suleiman, the Chief of Air Staff at the Pakistan Air Force examined the employment of Air Power in irregular warfare. 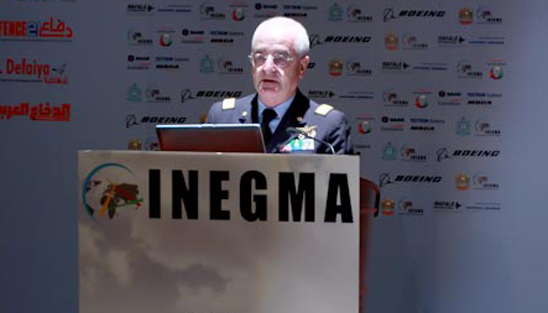 Chief of Staff of the Italian Air Force, Lieutenant General Giuseppe Bernardis’ lecture was on “Defining Operational Requirements for Integrated Airborne Early Warning and Battle Management Capability – The multi-mission solution”. 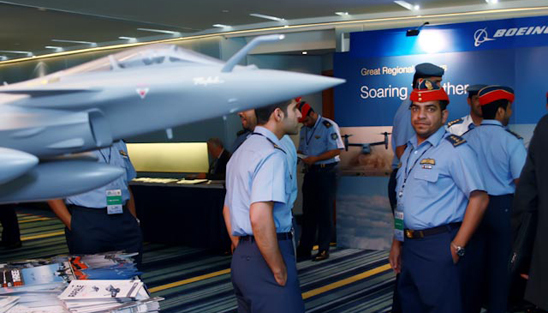 DIAC 2011’s sponsors were: Platinum: Boeing, Gold: Rafale Internationa & Northrop Grumman, Silver: MBDA, Baynuna Defense, Goodrich, Textron Systems, and SAAB. 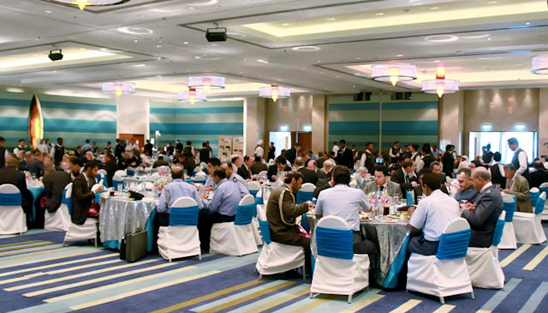 DIAC was followed by a glamorous gala dinner at the Grand Hyatt, Dubai. 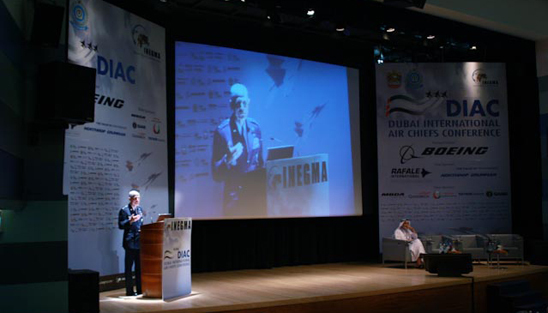 Presentations from DIAC-2011 have been uploaded online. 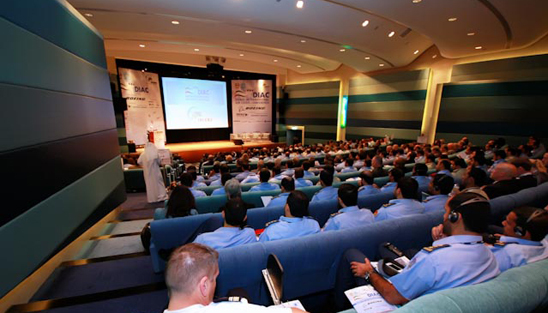 For access to the download links to these presentations, please email us at contact@inegma.com with your Name, Job Title, Company, Telephone and Fax Number, and Email Address and we will proceed to provide you with these. Thank you for your cooperation.